Living in this urban city requires more than just mental strength. We are talking about harmful UV rays and pollutants in the air damages our skin. 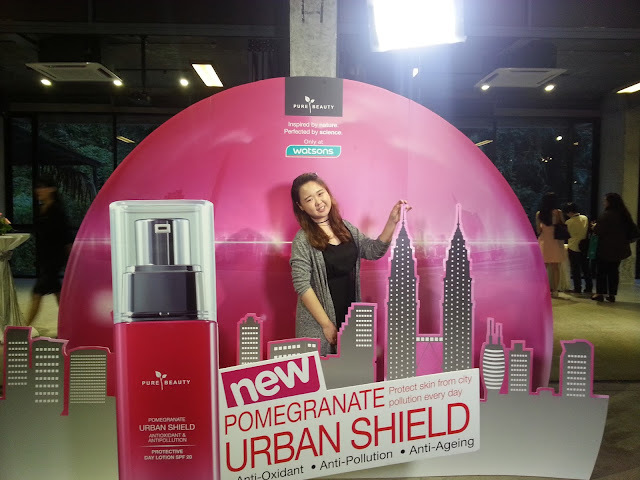 The recent launch of PURE BEAUTY Pomegranate Urban Shield might just be the answer to our beauty concerns. The secret to revitalized soothe skin lies in the core ingredients of this Antioxidant and Anti-pollutant series. Comprising of fermented Pomegranate extract, Urban Shield Complex, Swiss Radicare, Bulgarian Rose Water and certified organic ingredient, the upgraded formula holds optimistic results in strengthening the skin barrier, revitalizes dull skin and promotes a more radiant complexion. Pure Beauty Clarifying Foaming Cleanser, Reviving Serum, Protective Day Lotion SPF 20, Makeup Remover Facial Cleansing Wipes, Renewal Night Cream Recharging Cream Mask and Reviving Eye Gel. Danny Hoh; Watsons Malaysia's Cutomer Director, Caryn Loh; General Manager and Country Head of Watsons Malaysia and Malaysian celebrity; Maya Karin. Gracing the event was none other than Malaysian singer and actress, Maya Karin. We were anticipating Maya's secret to having healthy radiant skin and got our wishes answered. She emphasized alot on the importance of starting skin care early, drink alot of water, eat clean consistantly and plenty of rest. Never to go to bed with makeup on, which I totally agree. 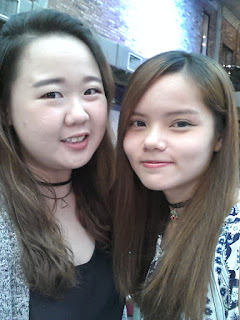 Finding the right product for your skin type is more important than expensive brands and having natural ingredient in them goes a long way, which is the reason why Maya chose PURE BEAUTY Pomegranate Urban Shield series over many other beauty products. contains Phyto-Placenta which has powerful anti-wrinkle action. With IBR patented ingredients (combination of ingredients that boost the skin's natural defences) and Galactomyces Fermented Filtrates (GFF), it protects our skin from oxidative damages and premature aging. Feels at home to meet blogger Bee Lee again after long period of hiatus. You can check out on the PURE BEAUTY Pomegranate Urban Shield series at leading Watsons stores nationwide, as well as online store. Price ranging from RM15.90 - RM69.90.